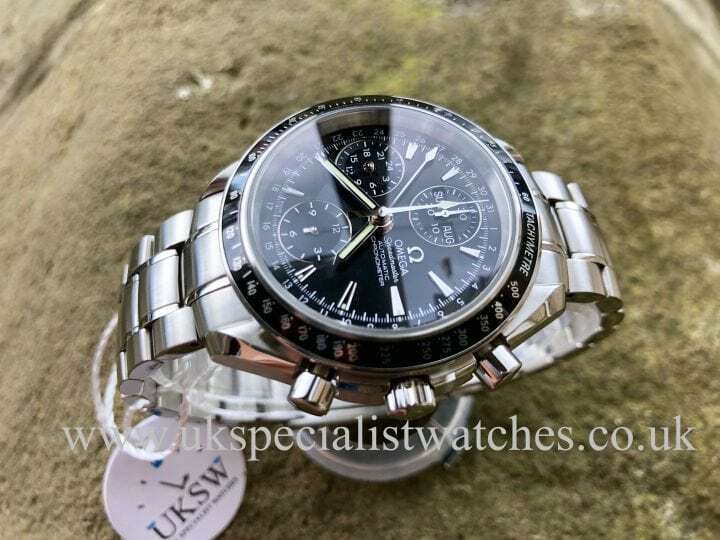 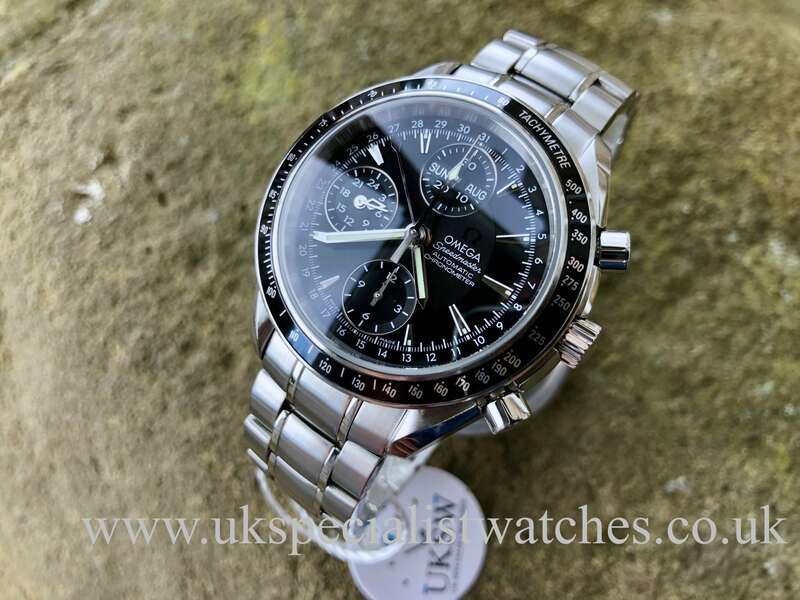 Omega Speedmaster Day Date Chronograph 32205000. 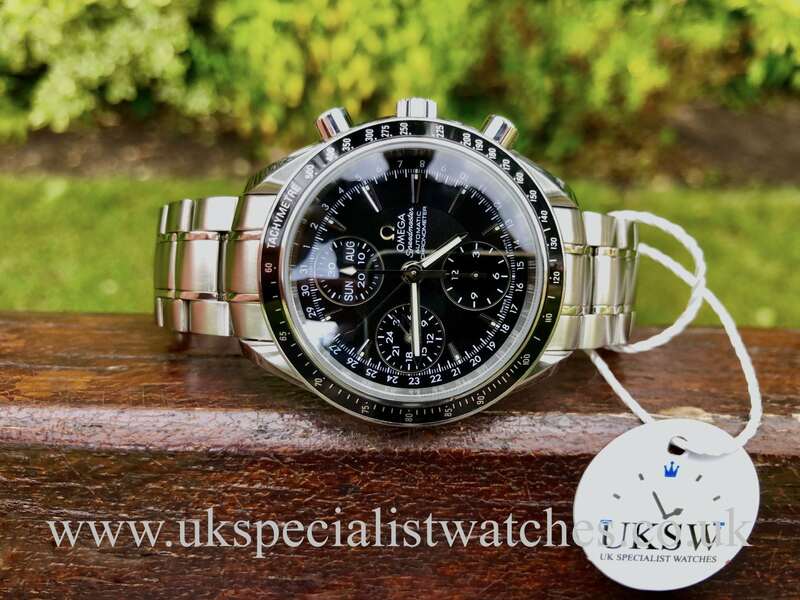 40mm stainless steel case, gloss black dial with 3 chrono sub dials with the day and month displayed below the 12 o’clock marker. 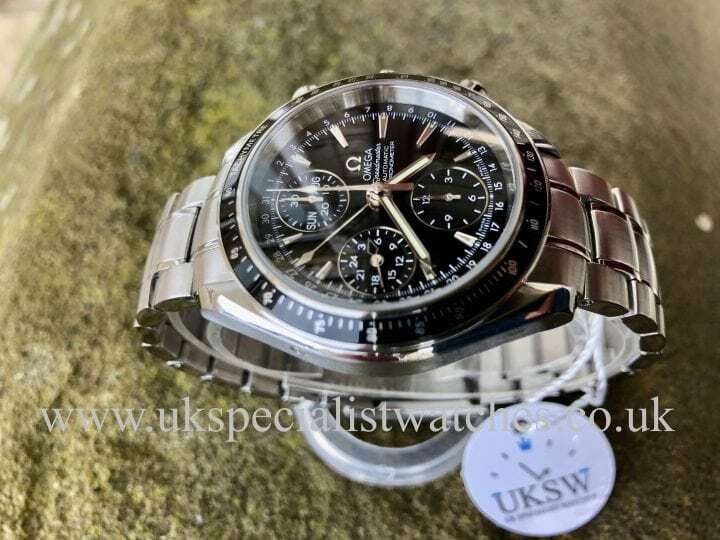 Luminous hands and hour markers, stainless steel tachymetre bezel with black insert. 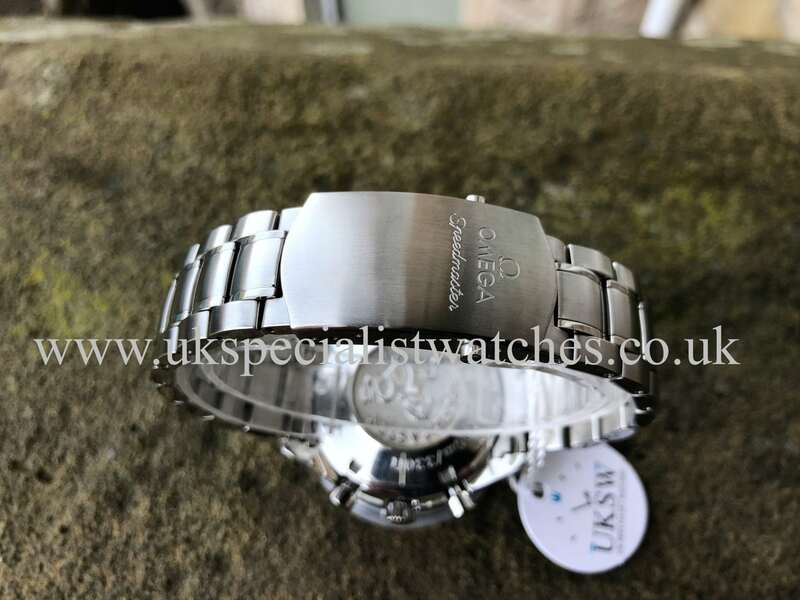 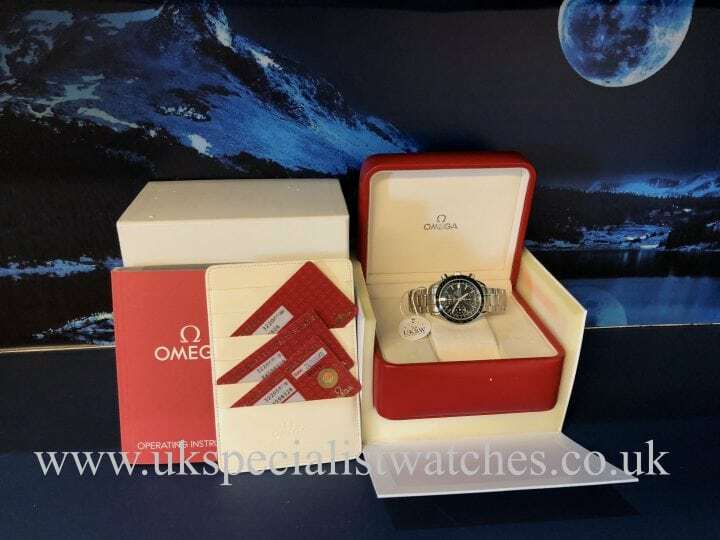 Fitted to a solid stainless steel Omega bracelet and double folding clasp. 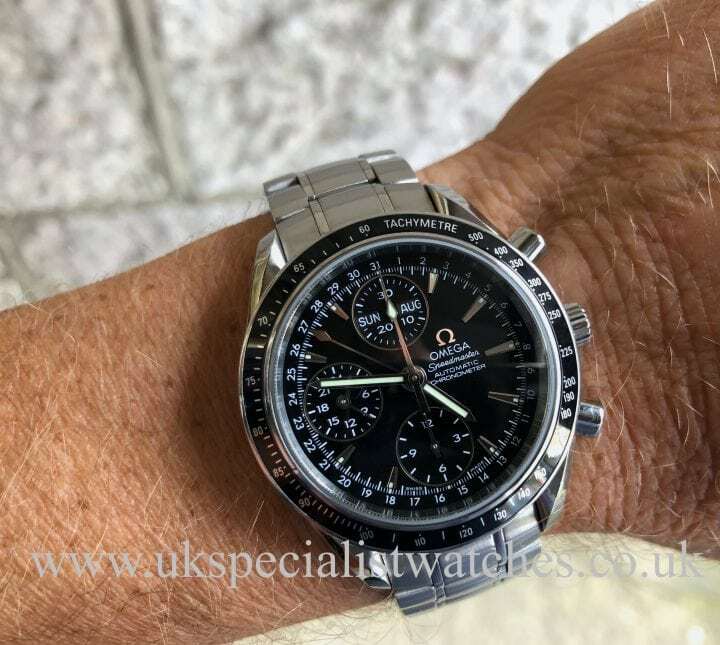 This watch represents fantastic value when you consider the complicated Omega Calibre 3606 movement compared to a Rolex equivalent! Comes complete with Box and all warranty cards dated 24/3/2010.